Your boat is one of the most important possessions you have. You would prefer to always know where your boat is and this is why permanent protection against theft is important to you. Theft of your boat is not the only risk. Outboard motors are also frequently stolen. Our GPS Track and Trace systems offer the solution. You will always know where your boat is and you will be warned immediately whenever it leaves the port or marina. A GPS Track and Trace system of 12Trace to protect your boat. A power supply is not required. You will always know where your boat is. Anti-theft alarm: you will receive a warning when your boat is moved. Keeping an eye on the battery voltage remotely and never being confronted by a surprise. A power supply is not required to protect your boat. If your boat does not have its own or only a limited power supply, our wireless GPS Track and Trace system is the ideal solution. This system can be used for 4 years if used normally. A watertight GPS track and trace system is an absolute must when used in a boat. Our GPS Track and Trace systems have a watertight housing and a battery. The device is wireless and small and can be installed in the boat, but also in an outboard motor. Extra useful: monitoring the battery voltage. This new function is perfect for boats that do have a 12 V power supply. Your GeoChaser system will keep an eye on the battery voltage remotely. You will receive an alert when your battery has broken down or the voltage level is low. It will, therefore, never happen that you go to your boat on a Sunday afternoon for nothing. Sailing pleasure guaranteed! The first VbV certified wireless Track and Trace system with a connection with the notification center making a connection with your onboard battery unnecessary. Every year more than ten thousand cars are stolen and over twelve hundred vessels disappear. The resulting damage caused by transport crime is high. The GeoLocker Marine is the solution to this problem. The GeoLocker Marine secures your boat by means of a virtual fence (GeoFence). A notification is sent to your mobile phone of to your email which the notification center also used to notify to the police in order to initiate the search and retrieve the stolen vessel. In the latest requirements (EBV02) a Vessel tracking system PLUS has been added (category 4), a vessel tracking system with extra functionality to detect jamming. The following certificate shows a Type Certification. 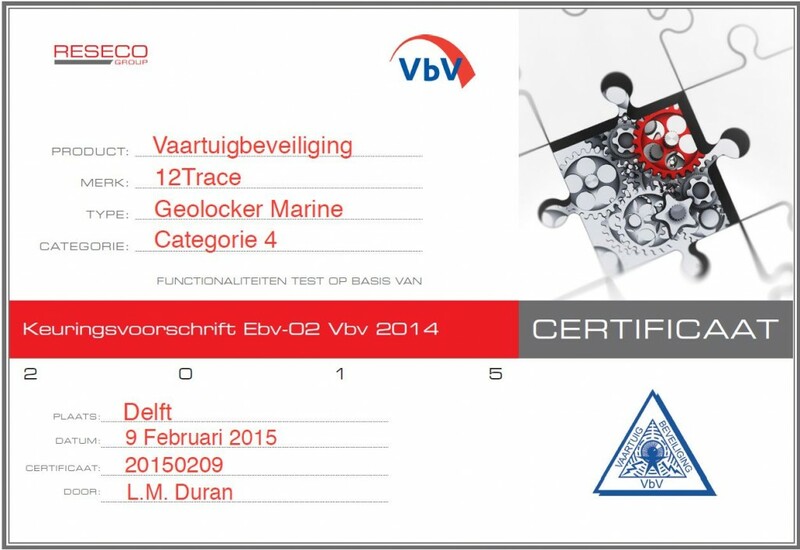 This certificate is valid for all GeoLocker Marines and is not provided separately per product. 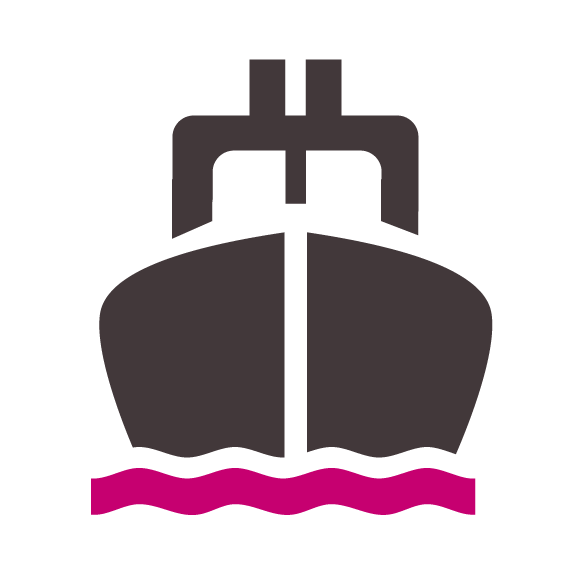 For more information about category 4 vessel tracking system plus, click here.